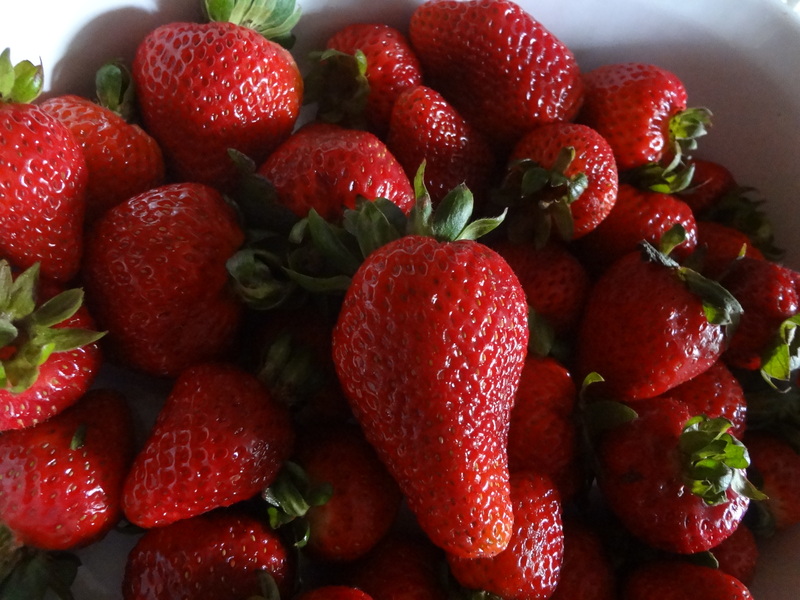 Has your home recently been taken over by the sweet smell of summer, with a hint of strawberries and sugar? No? WHAT?! Would you like it too? ‘Cause mine has, and I can’t stop smiling. Wanna know our secret? 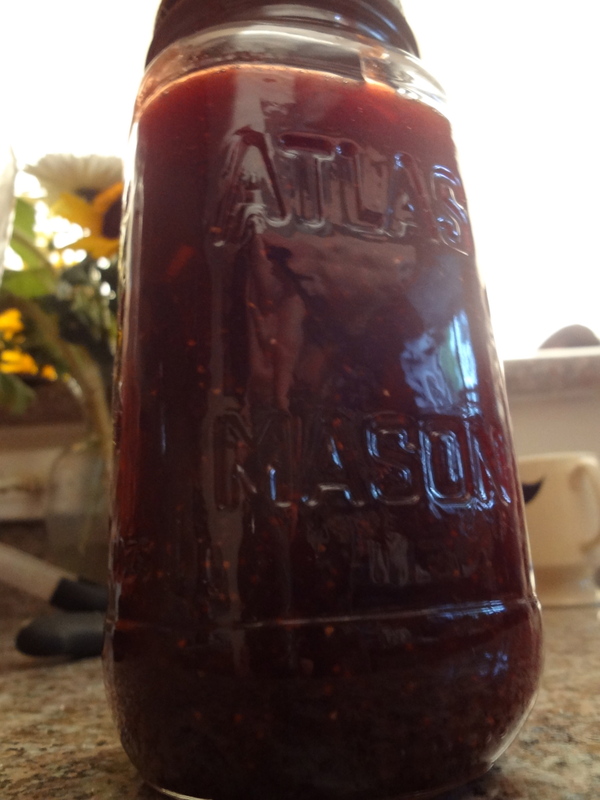 Our home recently experienced its first strawberry jam creation, and I am forever grateful to have learned how to make this traditionally store-bought item into a scrumptious homemade reality. Step numero uno involves boiling the Masons in hot water. WHAT?! No, not myself and my fiance, Sean Mason, but actual Mason jars. 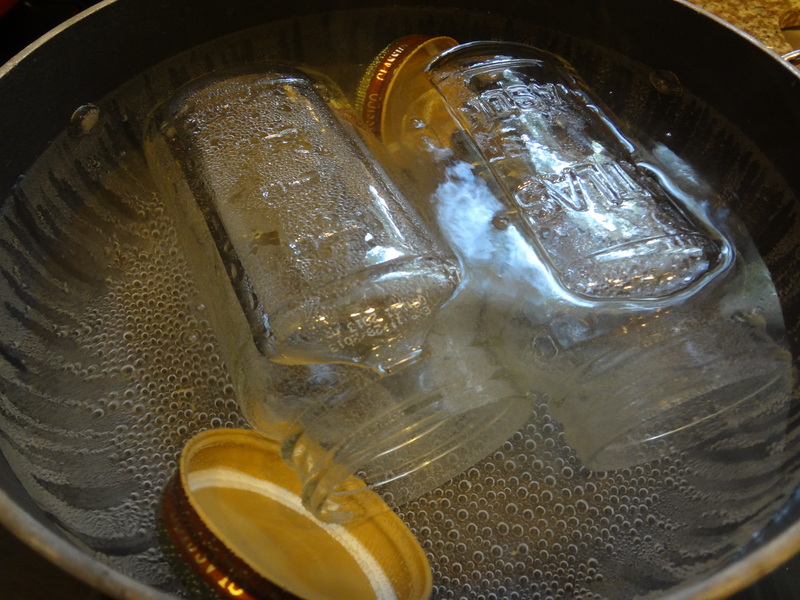 Apparently it’s recommended to boil the Mason jars (or whatever jars you choose to use) in hot water first, just to make sure that all germs are totally gone. Step five may be a little terrifying. You MIGHT want to prepare yourself for this one. 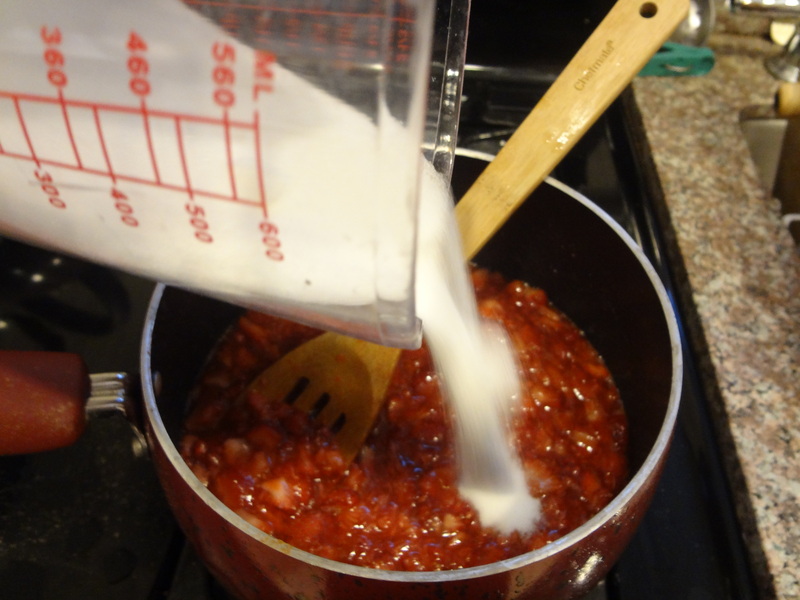 I had to take out tons of sugar from some of these recipes because, even I thought it was calling for too much. 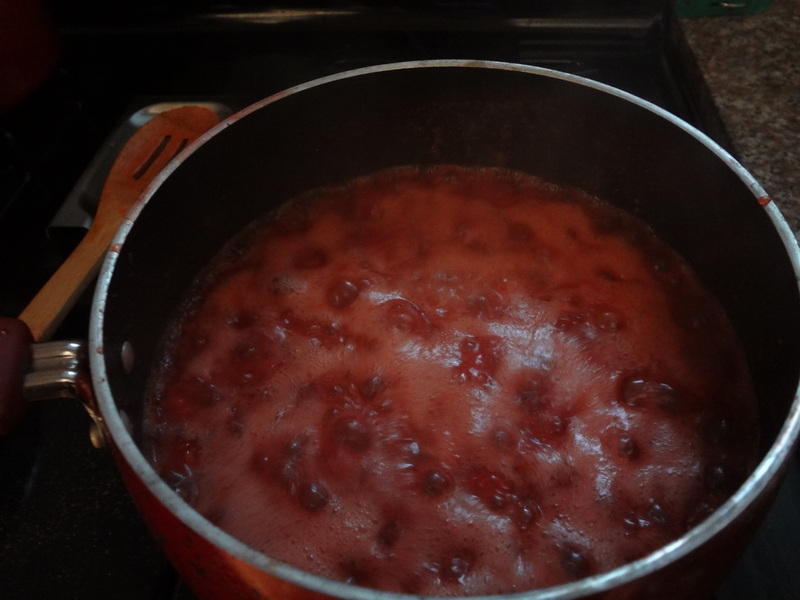 Basically, use your own judgement…but the sugar should be added gradually, and to taste. 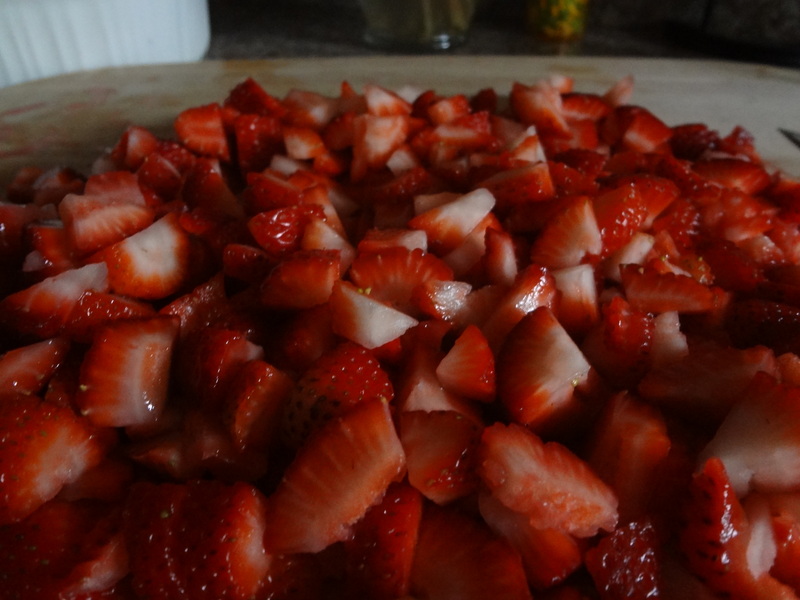 After chopping the strawberries, I had roughly 3 cups of chopped strawberries to use. Knowing that, I used about a cup and a half of sugar which, again, was HALF of what the recipes called for. Now…I love me some sugar…we all know that…but I really thought it was calling for too much. So to add a little more to the fun, I brought in my good friends: cinnamon and nutmeg! I just added a few dabs of each here and there until I was happy. Also, the recipes called for a 1/4 cup of lemon juice, but all we had was a lime. Good enough for me! Lime actually made it pretty tasty! I squeezed the whole lime for juice and added it right into the pot. Step 8 includes simply sealing this bad boy down, flipping it over onto a cloth since it’s “so hot right now” (<–hehe … another joke! ), and immediately putting it in the fridge (yes, upside down). Done and done in eight easy steps!!! And do you know what eight means?! “New beginnings.” This little creation was totally meant for Newlie! I’m so happy I made it, and I can’t wait to try it out with our new tuscany bread (also from Trader Joe’s!) 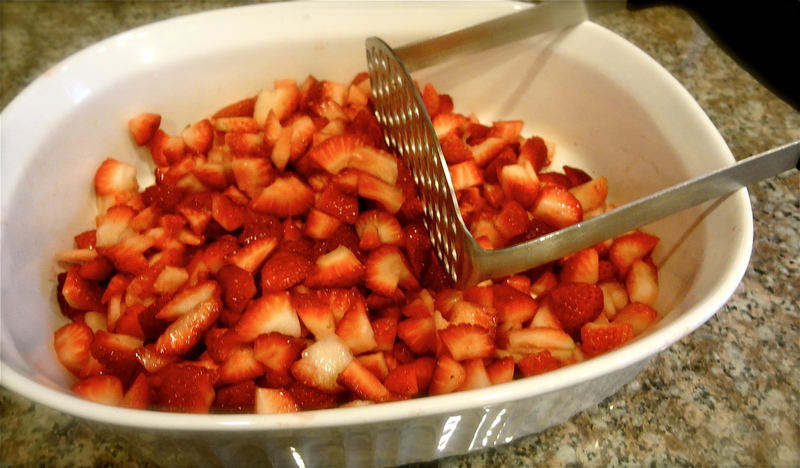 tomorrow morning for breakfast. Apparently you have to let it sit in the fridge for 24 to 48 hours. 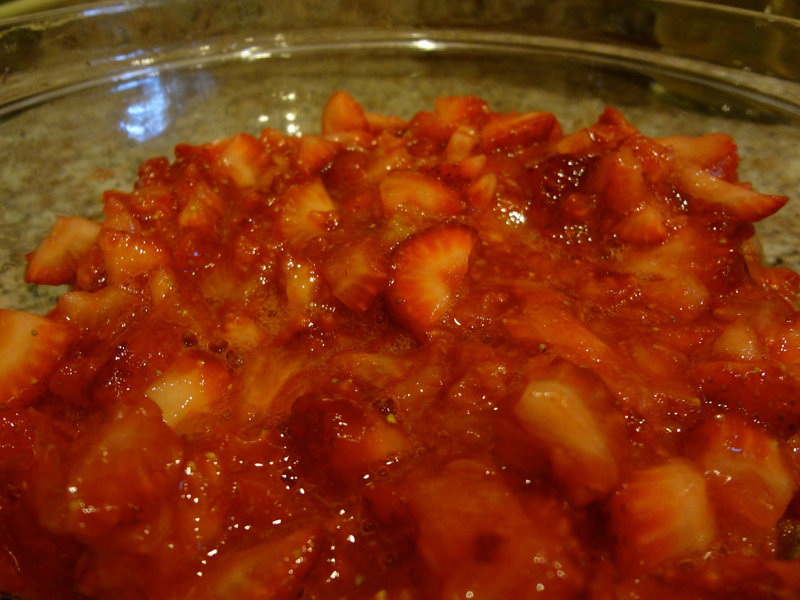 I kept tasting it a little throughout the whole cooking process though, and it was so yummy. Have any of you made this before? If so, do you have any new recommendations for me to perfect this recipe!? I plan on making this A LOT from now on, and would love to hear your thoughts. Let me know!